The U.S.-led invasion of Afghanistan began on October 7, 2001. Today, 68,000 U.S. troops are still in Afghanistan. Eleven years of war have cost U.S. taxpayers billions of dollars. The exact amount is still unclear, and no one knows how much the war will cost in the future. This three part blog series takes an in-depth look at the fiscal costs of war. Part 1 on the costs of war to date is below. Part 2, The War That Won’t End, is available here. Part 3, The Exploding Defense Budget, is available here. The U.S. has spent some $570 billion on the war in Afghanistan since it began eleven years ago. In the early years, the war budget was relatively small — not more than $20 billion per year through 2006. At the end of 2009, however, the U.S. announced plans to send 30,000 more troops to Afghanistan, in addition to the 68,000 already stationed there. The troop surge led to a spike in war costs — over $100 billion per year for the last three years. 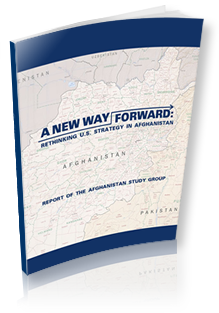 The largest portion of the war budget goes to sustaining military operations in Afghanistan. In 2012, for example, war operations cost $60 billion. However, the war budget includes funds for other activities as well. Each year the Department of Defense spends billions on repairing and upgrading equipment used in contingency operations. Equipment “reset,” as it’s called, cost $13 billion in 2012. Humanitarian and economic aid programs account for billions each year, for a total of about $30 billion since 2001. $50 billion has been allocated for Afghanistan security aid since 2001. The return on a $570 billion investment should be clear. Unfortunately it’s far from clear what Americans have gained from the eleven-year war. In 2010 Leon Panetta, then Director of the CIA, said there were likely less than 100 members of al Qaeda in Afghanistan. From 2010 through 2012 the U.S. spent over $300 billion on the war — that’s $3 billion for each member of al Qeada that might still be in Afghanistan. For the past two years the U.S. sustained a massive military footprint in Afghanistan in the hope of stamping out the insurgency. The last of the surge troops recently returned, bringing the number of U.S. troops still in Afghanistan back to 2009 levels. Yet violence in Afghanistan has actually increased — meaning the multibillion dollar surge strategy actually made the situation worse. With little to show for the billions spent in Afghanistan, public support for the war is at all-time lows. According to a recent poll by the Chicago Council on Global Affairs, 69 percent of respondents believe the war in Afghanistan has made no difference in reducing the risk of terrorism, or has even made the danger worse. Two-thirds said the costs of the war outweigh the benefits. “Despite a continuing concern about international terrorism, after a decade of war in Iraq and Afghanistan many Americans want to put this chapter of American foreign policy behind them,” the poll report concludes. It’s hardly surprising that most Americans are ready to end the Afghanistan war. The 2012 Afghanistan war budget was about $110 billion, or about $200,000 per minute. That means that in 2012 the U.S. spent more for one minute of war than the average American household earns in four years. After eleven years and $570 billion, Americans are ready to move on from the war in Afghanistan. But will policymakers finally make the smart choice? Or will they quietly continue to write blank checks for the war, while ignoring growing calls to end wasteful spending?